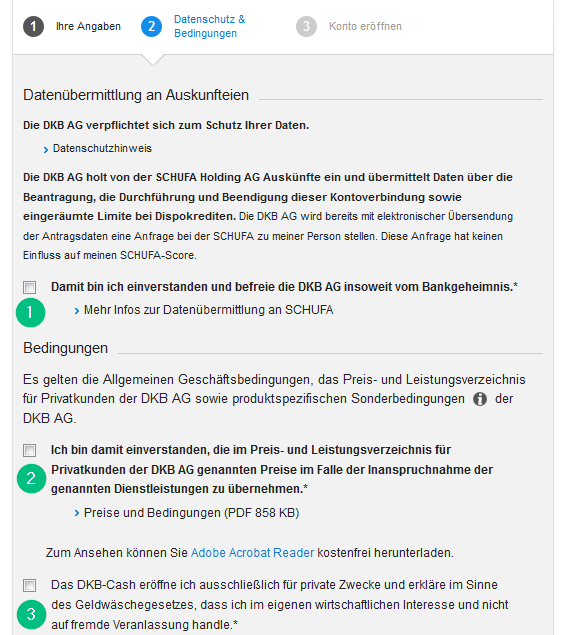 This step-by-step manual guides you in detail through the application process and shows you how to open a DKB account. 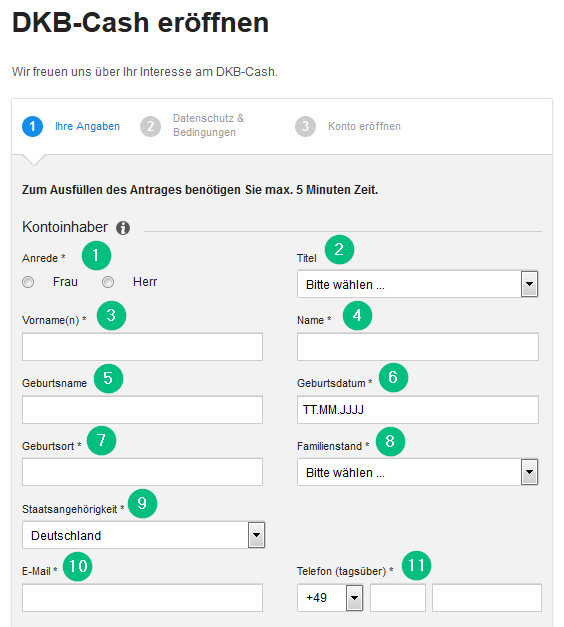 Opening your DKB account only takes a few minutes and is very easy, so let’s get started! On the last page you will see a summary of the data you entered. Here you can check if the data entered is correct. 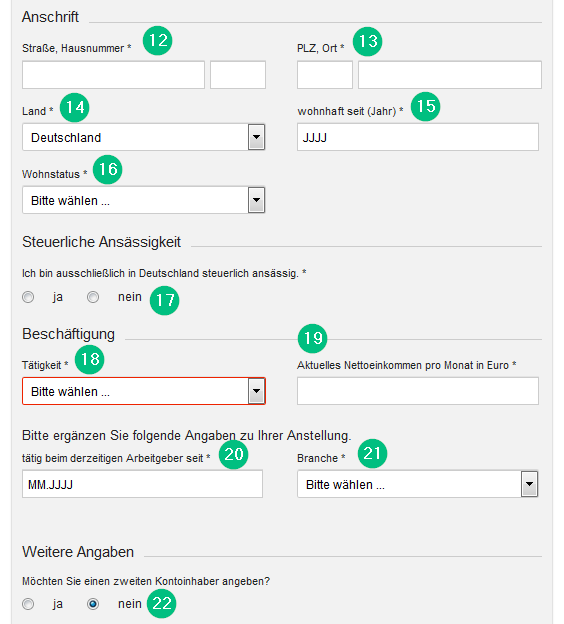 If you’re fine,click on “Zum Vertrag”. You will then see the following confirmation page. 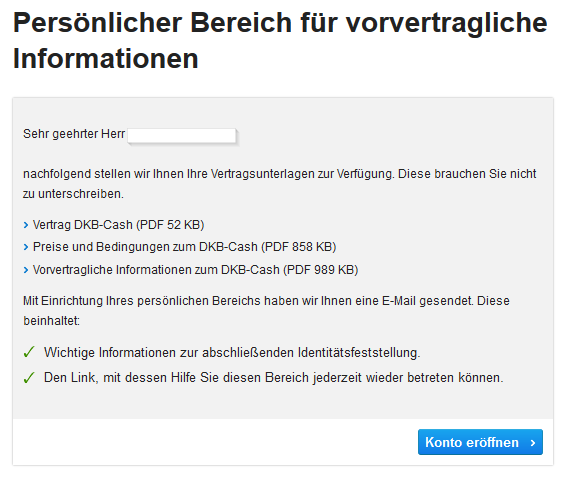 There’s no need to click on the button (“Konto eröffnen”) below as you have received an e-mail with further instructions. You will have received an e-mail from DKB with further instructions. In order to activate your DKB account you have to prove your identity either by VideoIdent or PostIdent. 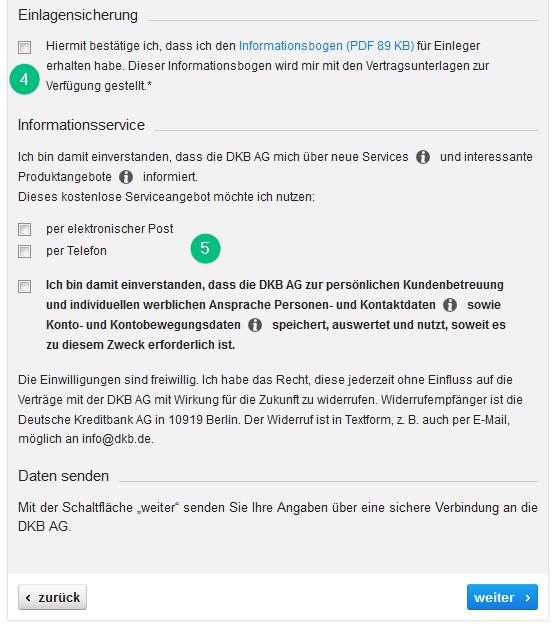 With PostIdent you print out your DKB contract and go to the next post office (Deutsche Post). There you will hand in your documents and your passport/ID will be checked. On the Deutsche Post website you can learn more about this procedure. That’s it! Open your DKB account now!